Traveling fascinates me. Nepal is filled with natural beauty and I have always dreamed of exploring these places whenever possible. During my tenure at eastern Nepal, I went around some spectacular places like Kanyam, Mai Pokhari, Tinjure, Milke and much more. Basantapur area in Tehrathum extends till Milke in Sankhuwasabha which is also known as the ‘rhododendron capital’ of Nepal. It takes around 4 days trek to go around this place and I was lucky to trek this area during rhododendron season. After I got transferred to Kathmandu, I got the chance to explore hiking routes in the valley. I did so by going around places like Champadevi, Nagarjun, Namobuddha, and Lakuri Bhanjyang. These hikes were helpful to keep me motivated for something bigger and better. Everest Base Camp Trek was in my wishlist for long and finally, in October 2015, my moment arrived. “All my bags are packed and I am ready to go”, is one of the popular songs by John Denver. This first line from the song says it all. I finally decided to go Everest Base Camp trek. Before I went to one of the most exciting treks in the world I did some hikes around Kathmandu. This helped me a lot in improving my walking capacity. There are so many talks about EBC trek that I could barely resist myself from going to this trip. I had been planning it since last year and the day finally arrived. My excitement level was on top and there was adrenaline rush through my body. I will be sharing the experience of my journey from Kathmandu to Everest Base Camp in this blog. Getting prepared for the trip was not easy as there were limited flights due to fuel shortage and I had to get leave approved by my office as well. I somehow got lucky with the ticket and leave. My dream was now about to get fulfilled. Like I mentioned earlier, I somehow managed to get the ticket from Kathmandu to Lukla. October is that time where you will find tourists heading to Everest Base Camp. I was lucky to find one such couple from Mustang who was going for the same trek. The flight from Kathmandu to Lukla takes around 30 minutes. Lukla airport is one of the ten most dangerous airports in the world. You will experience this when your flight lands at Tenzing-Hillary airport. It is always recommended that you book your flight well ahead to avoid any last minute hassle. 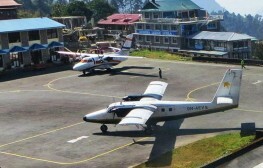 Several airline companies operate flights to Lukla. The exciting journey to the foot of Himalaya begins right after you get off the flight. I planned to hike around 3-4 hours and reach Phakding. Since this was the first day of my trek I wanted to have a steady start. Phakding is situated at the height of 2610 m from sea level. This village has been listed as UNESCO world heritage site since 1979. 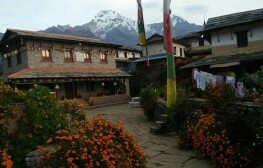 It is located to the north of Lukla and south of Monjo and is a popular first-night stopover for most of the trekkers. People tend to rest here on Day 1 on their route to Mount Everest Base Camp Trek. You will come across the beautiful scenery of the mountains during your hike from Lukla to Phakding. Some notable mountains that you can see are Karyolung (6367 m), Gongla (5813 m) and Nupla (5885 m). If you feel tired you can take tea break somewhere in between. Several suspension bridges are another familiar thing you can find in this trek. The Rimishung monastery is a popular monastery that you can find on the other side of the Dudh Koshi River. Phakding means white clay used for painting house walls. Day 2 started with good coffee and breakfast at Phakding. I was all set to start my hike to Everest Base Camp for the day. The plan was to reach Namche Bazaar also popularly known as the gateway to Mount Everest. In your route from Phakding (2610 m) to Namche (3440 m), you will come across several bridges. The crystal clear water from the Dudh Koshi River will keep you going through the steep trail. In the peak season, you will come across many trekkers which can be interesting. The trail is not an easy one and you will be going through a steep trail for almost two and a half hours. Regular tea breaks during the trek will keep you fresh. 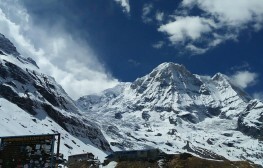 In this part of the trek, you will be going through Sagarmatha National park area where you are required to have passed. I had my lunch in Jorsalle and after two hours of the walk, I reached Namche Bazaar. This was my destination for the day where I spent my night. Namche Bazaar: Gateway to Mount Everest, some trekkers stay in Namche Bazaar to acclimatize but I stayed for a night only. Namche Bazaar treated me pretty well and prepared me for the next day. Early morning breakfast with refreshing coffee was a perfect starter for the day. I was ready to start my trail up towards another place close to Everest Base Camp, Tengboche. I could see some of the fascinating scenes of Mt. Ama Dablam, Mt. Everest and Mt. Tabuche and much more. As I went upwards for some time I reached a village named Kyangjuma where I stopped for a tea break. The route from this village was more exciting as I passed through the rhododendron forest. Rhododendron is the national flower of Nepal and there are several species of this beautiful flower. The exciting thing about this part of the trek is you encounter different species of Himalayan animals and vegetation. Tengboche was my destination for the day where I spent a night in Tasi Delek Lodge. In the late afternoon, I went to visit Tengboche monastery which was built around 1915 AD. This monastery was near the lodge where I stayed. I was told to be prepared for cold weather as I would be going towards higher altitude. Dingboche lies 4410 m above sea level so I got myself ready to face the upcoming challenge. The start was smooth as I had to descend through the rhododendron forest and crossed the Dudh Koshi River to reach lower Pangboche. This was around 45 minutes walk and this was the last stop for my tea break. After having refreshing tea, I headed towards Syomare where I planned to have my lunch. 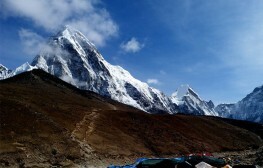 I had my lunch and after some rest, I continued to walk through coming across yak and Nak to finally reach Dingboche. As my journey of Mount Everest hike continued, I could feel a mix of excitement and tiredness. Dingboche is a popular summer settlement for yak grazing and I could see a lot of Yak and Nak grazing at the cliff. This is another place where trekkers may stay for acclimatization. My short holiday made me walk faster than normal trekkers. This is one reason why I decided to walk a bit long on this day from Dingboche to Gorakshep. Usually, people would stop somewhere around Lobuche, I had time constraints which made me walk around 8 hours on the day. In this part of the trek, I came across grassland that had no trees. I read that this place is filled with yak in summer. With the determination to reach Gorakshep I continued to walk along with some stops for a tea break. Sometimes the uphill section made me rethink my plan to reach Gorakshep, however, I had no option than to walk. There are several memorials that I came across on the route. It got colder as I walked pass Lobuche and continued my journey towards Gorakshep which lie 5170 m from sea level. From Gorakshep, one trail went towards Everest Base Camp and another to Kalapathar. The trail from Lobuche was much more comfortable compared to the previous one. This made me more excited and I could sense my victory on reaching Gorakshep. Gorakshep was the last step for me to find any lodges and also my last station before I reached my dream destination. However, I had a chance for the extra achievement of going to Kalapathar as well. With the hope of finally reaching the climax of Mount Everest hike the next day, I took rest in Gorakshep. It took no time to fall asleep after almost 9 hours of walk. Gorakshep is named after a bird Gorak. You have the choice to go Everest Base Camp and Kalapathar from here. This is like the dead end for finding lodge ahead and last stop before you reach the base camp. I could not afford to wake up late this morning, as I had one last hurdle to reach my dream destination. The spectacular Mount Everest (8848 m) was right in front of me and there were several teams of climbers preparing their Everest expedition at the base camp. It took almost 5 hours for up and down from the camp to Gorakshep. I spend some time in the base camp and started descending towards Gorakshep. My plan was to go to Kalapathar as well but I could not do that as there was limited time for the day. Although I could not go to Kalapathar, I was the happiest person on the planet that day. I could finally reach the base camp of the highest mountain in the world. I was disappointed that I could not visit Kalapathar before starting my descent towards Lukla. The return journey was relatively easy and smooth. The trail headed downwards. I sped down and had my lunch at Lobuche. After my lunch, I continued my journey downhill and finally reached Pheriche. It is a windy town located in the valley of rocks and mountains. The beautiful mountains were still visible from this place where I spent the night. 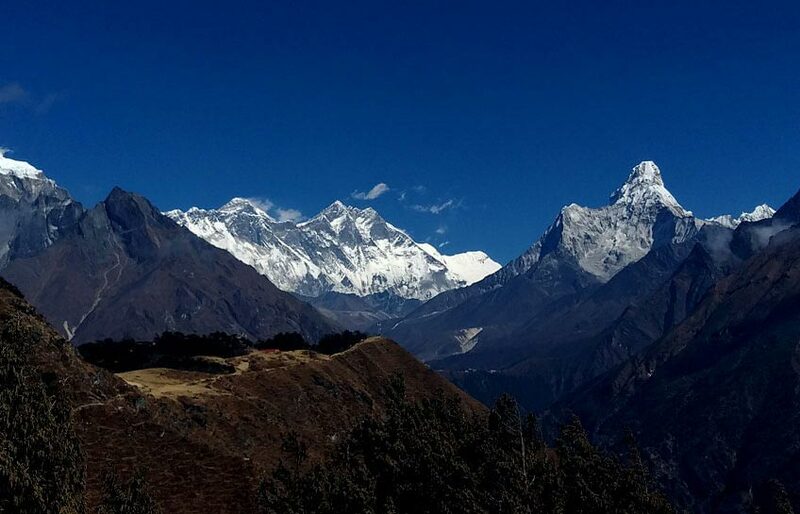 Thamserku, Amadablam, and Tabuche are some of the popular mountains visible from this place. You will find a small-scale lodge to rest at night. There are alternative trails available to reach Syomare. Syomare is the same place where I had my lunch while going to base camp. This place was again my lunch destination while returning back. I passed by a village named Pingboche after crossing the river in my route to Dingboche. I had something to energize myself in Dingboche and walked furthermore down to a place called Kyangjuma. This is where I decided to have rest for the night. I decided to walk all the way down to Lukla. This was not an easy decision and required a lot of courage to make it happen. I was descending very quickly and heading towards Lukla. I had to catch an early flight the next day so as soon as I reached Lukla, I decided to take rest. Next morning it was time to say goodbye to one of the exciting trekking routes. I had finally completed my Everest Base Camp Trek. I had booked my return ticket earlier which made it easy for me. I took the Tara Air flight from Lukla Airport and got back to Kathmandu. Now finally I can proudly claim that I have completed Everest Base Camp Trekking. I achieved my goal and reached the base camp. Although people might have questions regarding Everest trek trip cost, I would say if you plan well and spend wisely it is not an expensive trip. Namche Bazaar was the most expensive place I spent my night during this trek. Although I tried to attempt this trek solo, it is highly recommended that you go with a guide. You will find the list of best Everest Base Camp Trek company easily. 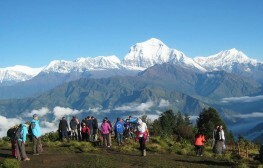 Third Rock Adventures is a popular trekking service provider for this trek. 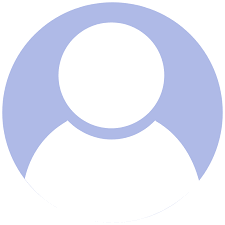 I would recommend that you book your Everet Base Camp Trek with this company. 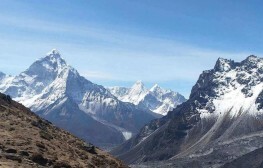 Apart from the Everest Base Camp Trek, some of the popular Everest treks run by Third Rock Adventures are - Everest Base Camp Gokyo Lakes Cho la Pass trek, Gokyo Lakes and Gokyo Ri Renjo La Pass Trek. For those who are short on time and have fitness issues the company offers an Everest experience via its popular Everest Heli Tour, Everest Base Camp Heli Trek and Everest Base Camp Gokyo Lakes Heli Trek. Ashes your blog helps me a lot and the photo are just amazing. You just make me no doubt about travelling to Everest Base Camp with your blog. I really say this will help all the people planning for this trip. Wow, very strongly described about the whole trip in a simple way and I hope to do this soon and also got your recommendation towards Third Rock. Thank you for a wonderful blog which helps me a lot for making my mind. "Although people might have questions regarding Everest trek trip cost, I would say if you plan well and spend wisely it is not an expensive trip" Nice Article, Really help other traveller who want to go EBC.